Love the speed workouts you post! Such a necessary evil. I’m looking forward to getting back into track work. You’re right, it really does help!!! It just hurts so bad doing it…. Yes, I LOVE speed work and it has helped tremendously with my pace! 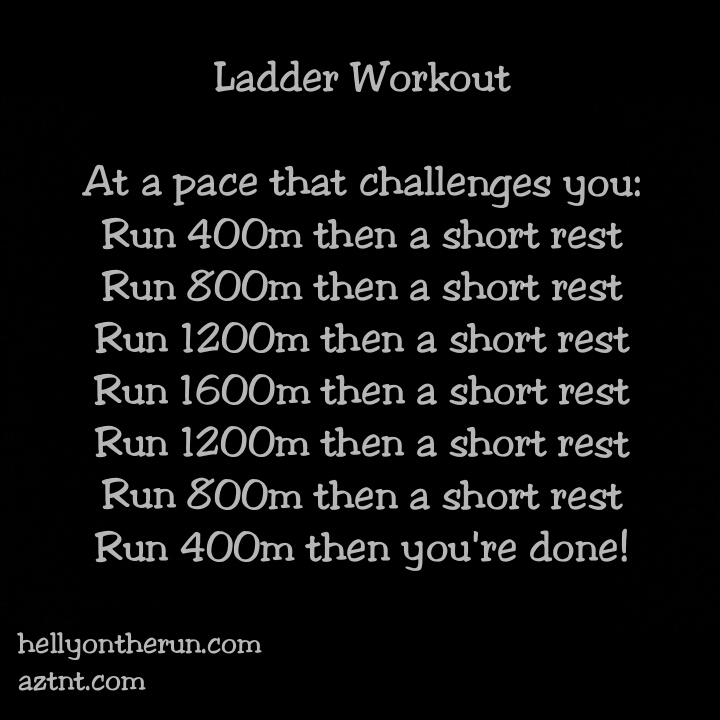 I have done that ladder before and it’s pretty tough! I love Yasso 800’s though!! I am so jealous of your track nights. I wish I had access to one, but the treadmill it is for me! Speed work has made a HUGE difference in my speed! ← Losing the Pregnancy Weight…Twice!